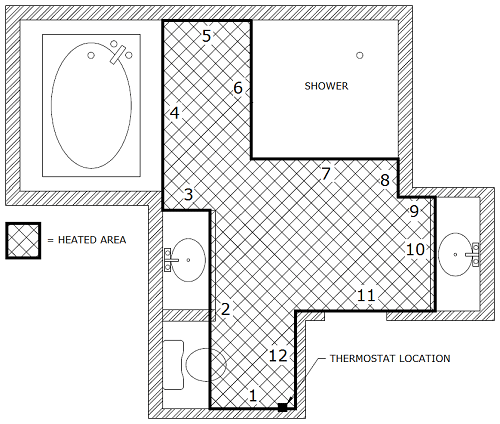 For mat or cable layout design, a floor plan is required. You can upload the file in the form below, or send it to us by e-mail or fax. Acceptable file formats are DWG (CAD file), PDF (Adobe Acrobat) or Image (JPG, PNG, BMP, TIFF, GIF). Maximum allowed file size is 10Mb. To submit multiple files and/or over 10Mb, use e-mail or fax options. See Contact Us page for details.